Tobacco use is the leading preventable cause of death in the United States according to the Centers for Disease Control and Prevention (CDC). You may have already begun talking with your youngster about not using tobacco products, including cigarettes and smokeless tobacco. Keep talking! Your child is at greater risk now in middle school: Young people are most likely to try smoking for the first time between the ages of 11 and 15, or grades 6 to 10. 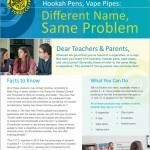 If you’re the young person’s parent and a smoker, he or she has a higher chance of becoming one, too. Now could be a great time to quit smoking or using smokeless tobacco—it could help you and your youngster. 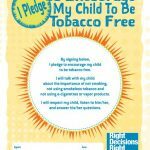 Young people are more likely to be tobacco free if they know their parents don’t want them using tobacco and would be disappointed if they did. This is true even if their parents use tobacco. It might seem difficult to believe, but it’s true. 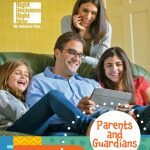 Other adult family members play an important role, too, especially those who regularly provide care and guidance for the young person.